"She is the warrior we need. The Goddess we await. She will defend Dharma. She will protect us. INDIA, 3400 BCE. India is beset with divisions, resentment and poverty. The people hate their rulers. They despise their corrupt and selfish elite. Chaos is just one spark away. Outsiders exploit these divisions. Raavan, the demon king of Lanka, grows increasingly powerful, sinking his fangs deeper into the hapless Sapt Sindhu. Two powerful tribes, the protectors of the divine land of India, decide that enough is enough. A saviour is needed. They begin their search. An abandoned baby is found in a field. Protected by a vulture from a pack of murderous wolves. She is adopted by the ruler of Mithila, a powerless kingdom, ignored by all. Nobody believes this child will amount to much. But they are wrong. For she is no ordinary girl. She is Sita. Continue the epic journey with Amish’s latest: A thrilling adventure that chronicles the rise of an adopted child, who became the prime minister. And then, a Goddess. This is the second book in the Ram Chandra Series. A sequel that takes you back. Back before the beginning." "Amish is a 1974-born, IIM (Kolkata)-educated, boring banker turned happy author. 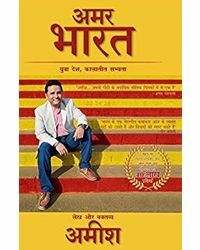 The success of his debut book, The Immortals of Meluha (Book 1 of the Shiva Trilogy), encouraged him to give up a fourteen-year-old career in financial services to focus on writing. He is passionate about history, mythology and philosophy, finding beauty and meaning in all world religions. Amish’s books have sold more than 4 million copies and have been translated into over 19 languages. Amish lives in Mumbai with his wife Preeti and son Neel. www.authoramish.com www.facebook.com/authoramish www.twitter.com/authoramish"
About the Book : "She is the warrior we need. The Goddess we await. She will defend Dharma. She will protect us. INDIA, 3400 BCE. India is beset with divisions, resentment and poverty. The people hate their rulers. They despise their corrupt and selfish elite. Chaos is just one spark away. Outsiders exploit these divisions. Raavan, the demon king of Lanka, grows increasingly powerful, sinking his fangs deeper into the hapless Sapt Sindhu. Two powerful tribes, the protectors of the divine land of India, decide that enough is enough. A saviour is needed. They begin their search. An abandoned baby is found in a field. Protected by a vulture from a pack of murderous wolves. She is adopted by the ruler of Mithila, a powerless kingdom, ignored by all. Nobody believes this child will amount to much. But they are wrong. For she is no ordinary girl. She is Sita. Continue the epic journey with Amish’s latest: A thrilling adventure that chronicles the rise of an adopted child, who became the prime minister. And then, a Goddess. 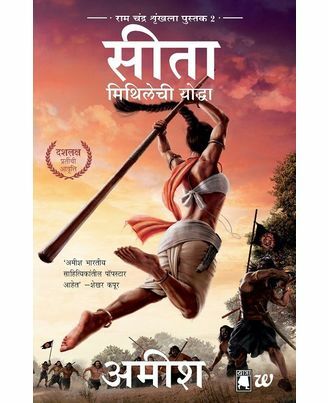 This is the second book in the Ram Chandra Series. A sequel that takes you back. Back before the beginning." About the Author : "Amish is a 1974-born, IIM (Kolkata)-educated, boring banker turned happy author. The success of his debut book, The Immortals of Meluha (Book 1 of the Shiva Trilogy), encouraged him to give up a fourteen-year-old career in financial services to focus on writing. He is passionate about history, mythology and philosophy, finding beauty and meaning in all world religions. Amish’s books have sold more than 4 million copies and have been translated into over 19 languages. Amish lives in Mumbai with his wife Preeti and son Neel. 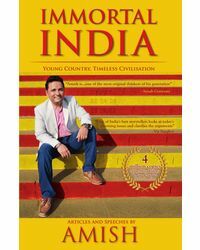 www.authoramish.com www.facebook.com/authoramish www.twitter.com/authoramish"